Your adventure begins at the Morris Thompson Center downtown where you’ll register and get free goodies. The adventure begins with a scavenger hunt at the visitor center museum, and then you go outside to stroll along the scenic Chena Riverwalk. On the way, stop at fun and informative activity tables run by over twenty local organizations. These tables feature crafts, games, and puzzles all targeted to teach kids about their watershed. This event will run rain or shine. WHAT: The Chena Riverwalk Event! 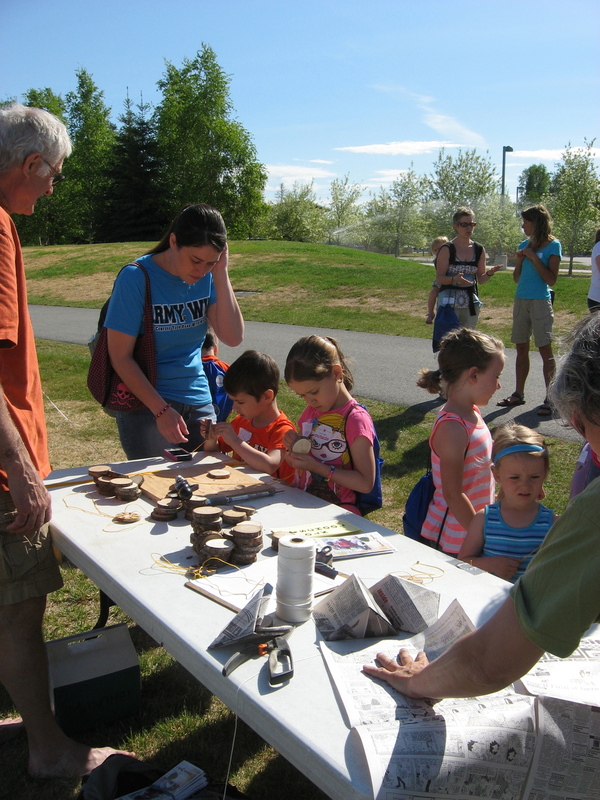 A fun, educational outdoor activity walk along the Chena River with games, crafts, snacks and goodies along the way provided by local partners and sponsors. WHEN: Sunday, June 24thth - beginning at 2pm and running till 4pm. WHERE: Arrive at the Visitor Center to check in, get your map and goodie bag, and enjoy a looped path that runs about a mile walk along the river. PRICE: The Riverwalk is a free event but donations of $5/child are greatly appreciated. WHY: Learn about and connect to the Chena River, have fun outside! A big thanks to our past sponsors! WANT TO SPONSOR THIS EVENT? The Chena Riverwalk has almost doubled in size for the last four years and we are expecting around 700 participants this year. 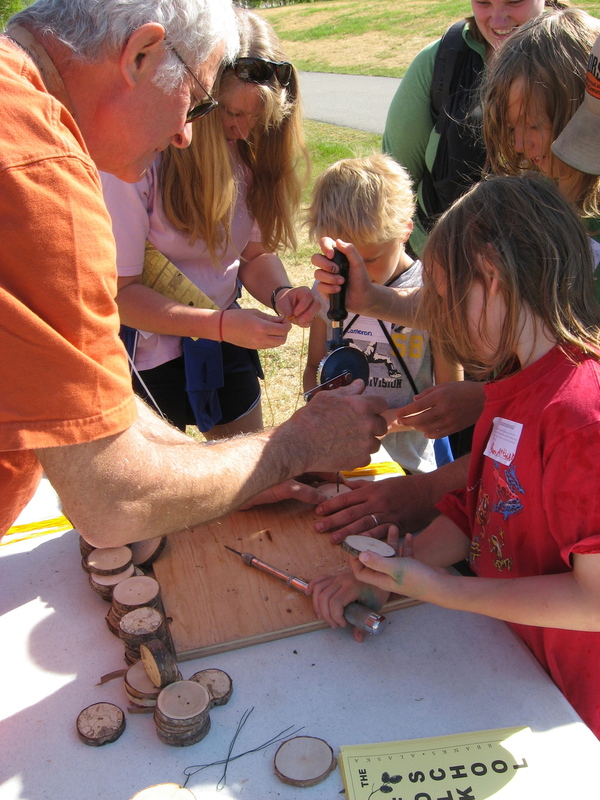 This fun family friendly event is designed to get the community outdoors and educate them on all things about the Chena River as well as foster the next generation of watershed stewards! To become a sponsor please contact us at tvwatershed@gmail.com. WANT TO HOST AN ACTIVITY STOP? If you are a local business, non-profit, club, or group that cares about getting kids outside and educating them about our community and watershed, we would love to have you join in the fun! A table and 2 chairs. A great opportunity to connect with the community and promote your organization or cause. A chance to work outside along the beautiful Chena River. An activity for you to do with the kids - let us know if you would like to get a pre-arranged activity. 1. Choose a place on the loop: We expect families with kids ranging from ages 2-12. 2. Pick an activity: Create a fun, educational, watershed-related game, craft, or activity for kids that lasts approx 3 minutes. We have few pre-planned activities in our Rain to Rivers Resource library for you to choose from, just let us know as they are first come, first served. 3. Sending two volunteers from your organization or business to set up the table around 12:30pm and run it from 2pm-4pm. Complete our easy booth registration form and send it to cynthia.tvwa@gmail.com or TVWA at 909 Cushman Street, Suite 205 Fairbanks AK 99701. You can pay with a credit card via PayPal by clicking on the "pay now" button or you can pay with a check. Please make the check out to Tanana Valley Watershed Association. Booth fees are $25. If you have any questions please contact us at 907.374.8890 or tvwatershed@gmail.com.